West Virginia, a late entry into the gambling scene in the United States, has ramped up gaming in a hurry in the last few years. The Mountaineer State, which in the past has made most of its money from coal, has seen that revenue fall under the red tape of environmental regulations, and lessening coal deposits. In addition, West Virginia, due to its rocky mountainous terrain, is a difficult place to farm. The state has had to look elsewhere for revenue. 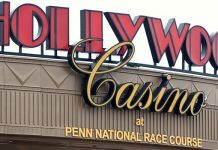 Although West Virginia has a few casinos and racetracks that offer slots and other forms of gambling, they are poised to offer more. One way that West Virginia is looking to increase their revenue is with sports gambling, which is now legal in the state. Draft Kings has collaborated with the state and Hollywood Casino to provide online sports betting, which will keep the state competitive with Pennsylvania. Pennsylvania already has online gambling. West Virginia has historically not been friendly to gamblers. Gambling was thought to be against Christianity, and most people who lived in West Virginia were opposed to it for years. However, the economic downturn in the state and the lack of prospects led the Mountaineers to decide that gambling might be a viable option. The state now has five different casinos or racetracks that offer gambling. However, the state wants to do more. 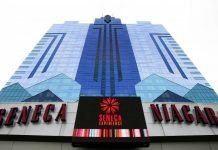 Not only did they vote to legalize sports gambling during the 2018 legislative session, but the state also expects to completely legalize online gambling during the 2019 session. DraftKings originally began as a daily fantasy sports contest in the Northeast area. The company, along with FanDuel, was able to take advantage of laws that did not specifically say that daily fantasy sports were illegal. DraftKings players were allowed to create accounts, and purchase credits to “buy” players for rosters. Those rosters then were judged against other rosters when the games were played during the weekend or during the week. Winners were able to win the money that other players put in. While DraftKings began as a football fantasy sports game, it has since expanded to the MLB, the NHL, and the NBA. Users can also bet on other sports that are not as well known in the US, such as NASCAR, MLS, and Premiere League Soccer. 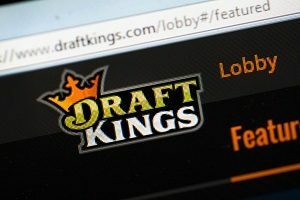 After the Supreme Court decision that allowed states to decide for themselves whether sports’ betting was legal, DraftKings began shopping a sportsbook around in the Northeast. It was easy for the company to begin offering sports books, as it already had all of the analytics in place. DraftKings launched an online sportbook, its first, in New Jersey during the summer. It may be a while before the online sport book is up and running, but it promises to bring gambling to every corner of the Mountaineer State in the next few years. People will not have to be at the casino or racetrack in order to gamble. The online sportsbook should be up and running later in the year.